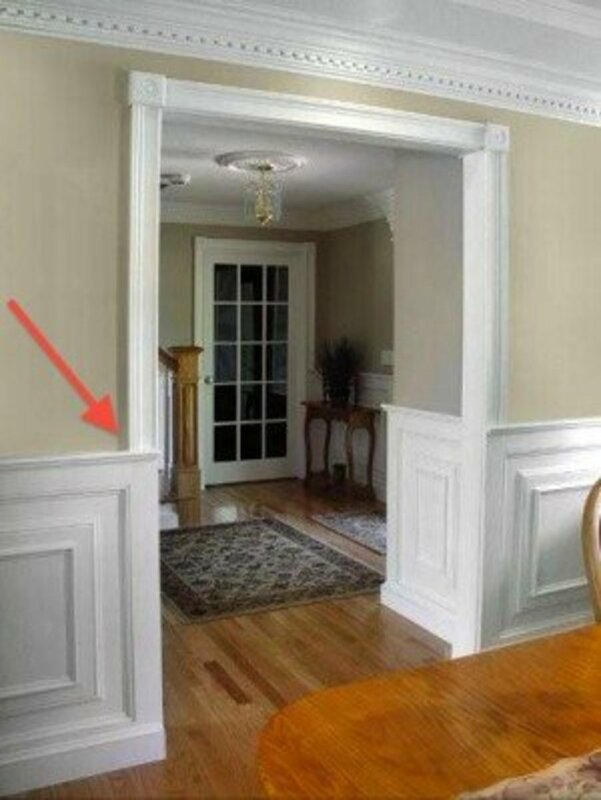 Crown molding is always loved, chair rails are often loved, the plate rail, however, is often forgotten. If you search for plate rail, often all you will find is the open air plate holder for the kitchen. 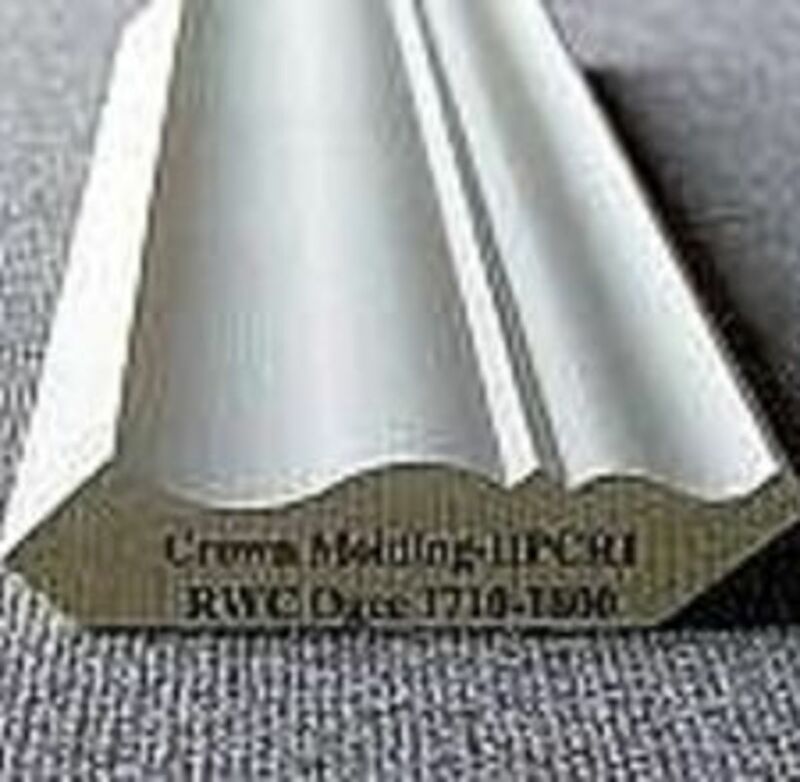 Yet, a plate rail married to a molding can serve three purposes: 1.) hold the decorative plate 2.) add architecture interest to the area near the ceiling and 3.) add texture to the room's design. As you will soon see, this simple decorating tip can readily apply to a formal living room, a bedroom and of course to a country kitchen. 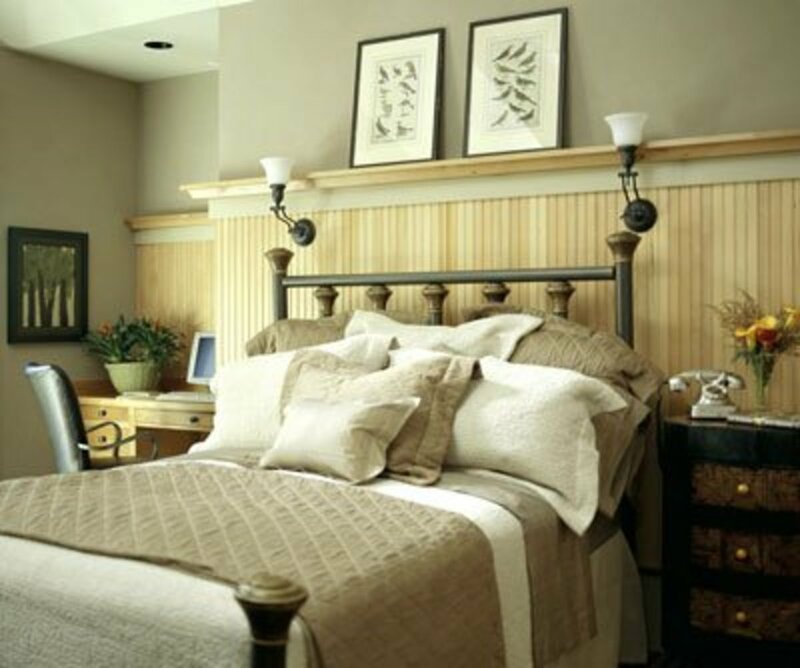 The goal here is showcase the many different design options crossing from formal elegance to country charm and even extending into the bedroom. In this example, the plate rail is being used to showcase two vases and a picture rather than a plate. The casual style of this room's design is heightened and the focal point of the room actually becomes the decorative plate rail. What I love about this design is one could change it up for each season, one could include family photos, or emphasize the love of the beach as this designer has chosen to do. The possibilities of this re-purposed molding are endless. To me, this piece is more versatile than any other holiday or decorating item as it is simply the foundation for what you choose to include on the plate rail or mini-shelf. Function and form for the plate rail go hand and in hand. The above photos showcase how the router-ed groove allows the plate to safely rest vertically. The slight angle of the plate furthers its safety and viewing pleasure. 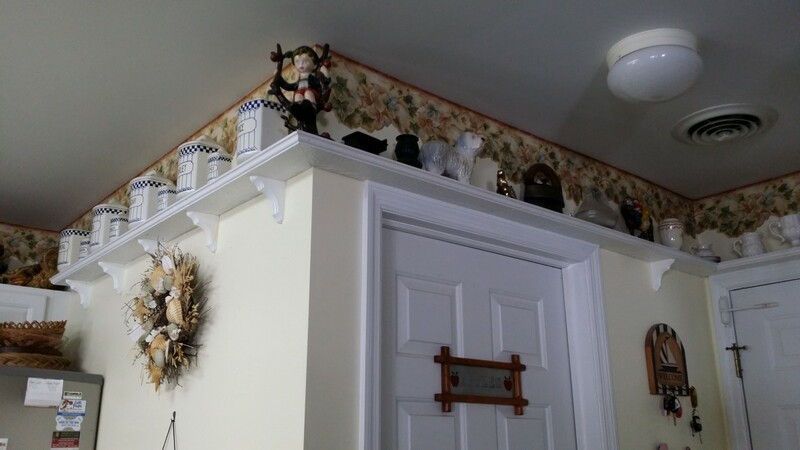 The last photo in the series above is rather ingenious because it incorporates the chair molding with a plate rail. This allows the owner to completely dispense with the plates and go for a clean and simple look that only showcases the chair molding or change it up for a holiday or other special occasion with adding photos or plates along the railing. One of the many challenges with molding is the transition into and around the other molding in the room. 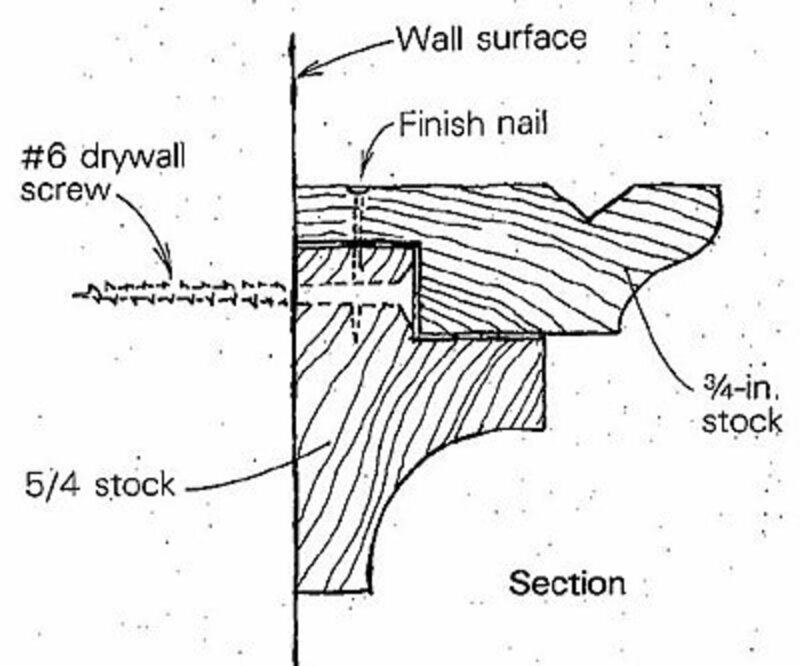 It is critical to plan your design and incorporate the necessary craftsman with the skill set to do the job correctly. 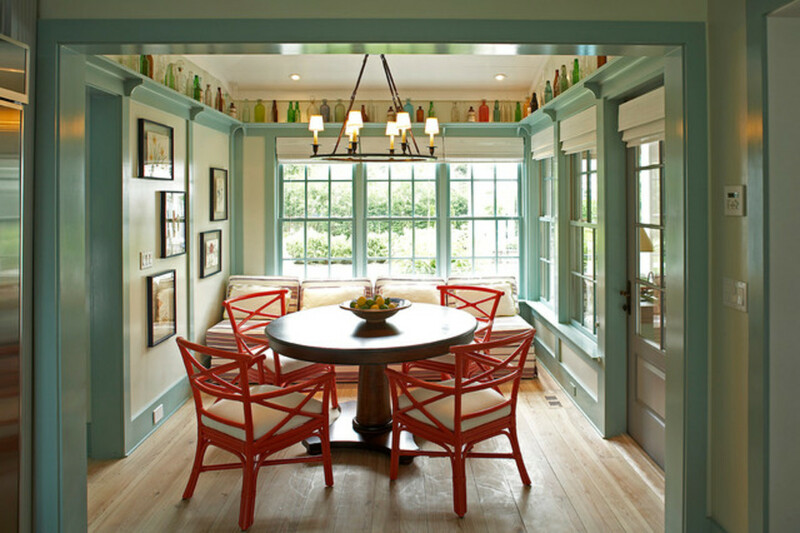 Take a look at the proper use of the chair rail abutting the doorway molding. Do consider how your plate rail will transition, continue or end. This is an important element in your design. 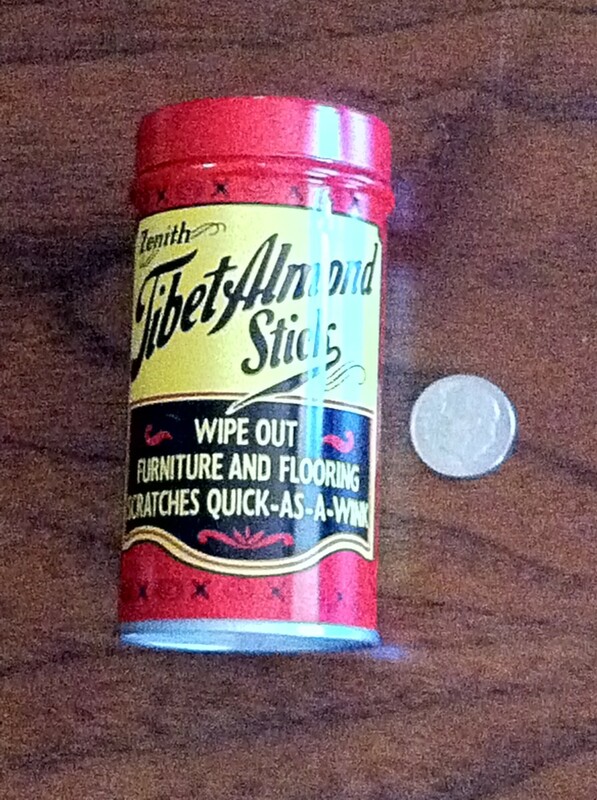 Where you are adding crown molding or chair rail or even a plate rail, remember, often molding is forever. Very few remodels will undertake the difficult and daunting task of ripping out the former casements - unless you do a poor job. 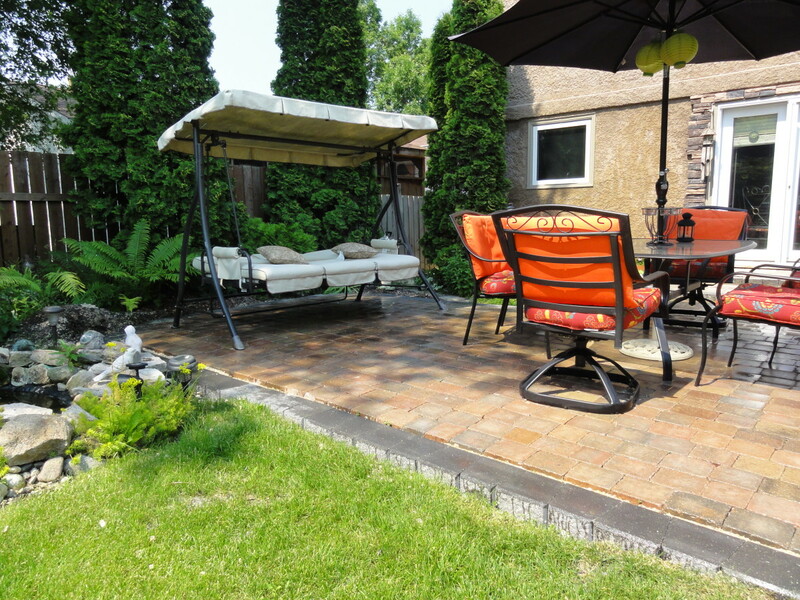 The common pitfalls are detailed here to ensure that the investment you make in your home remodeling project is an investment that will serve to showcase your home for generations to come. As the video to the right details, chair railing is one of the simplest and to my mind, one of the best investments you can make to your home. I love a room that "hugs me" when I walk in the room. The lighting (preferably from Mother Nature and then artificial lighting), the wood in the casements, the crown molding and the chair rail or plate rail all serve to hug the owners and their guests. 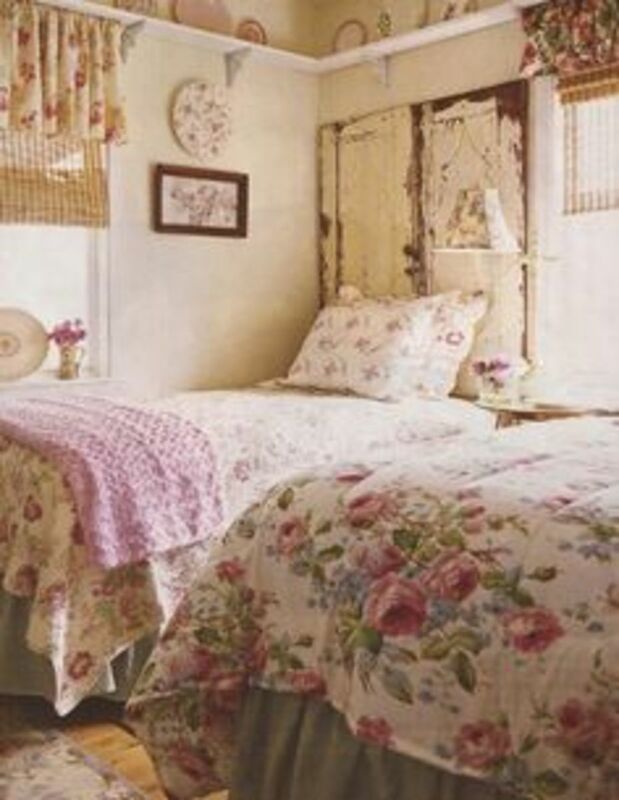 The design possibilities with plate rails in the bedroom are not limited to just country cottage chic. 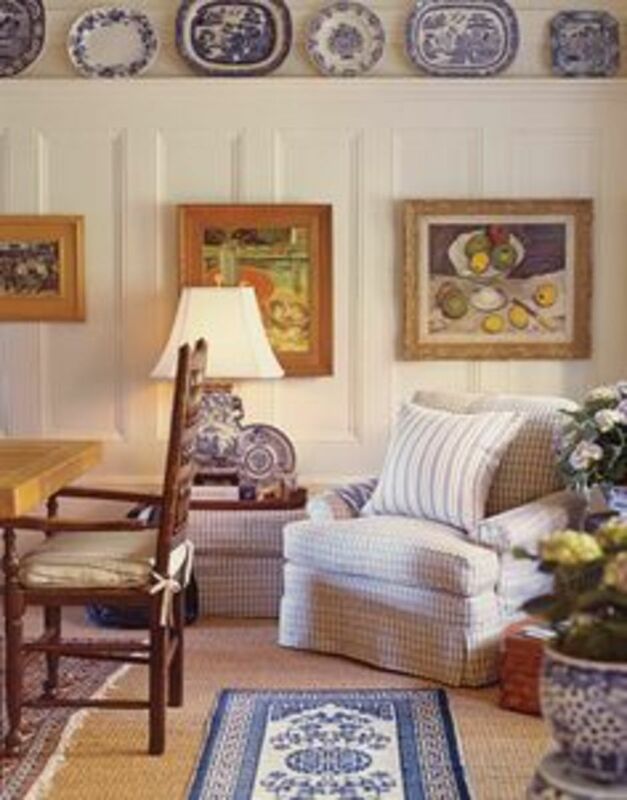 Yes, they work very well in the casual designs but look at some of the more transitional and even traditional designs. When searching for the plate rails, I often would find the traditional plate rails where the plates are stored individually but not in full view. 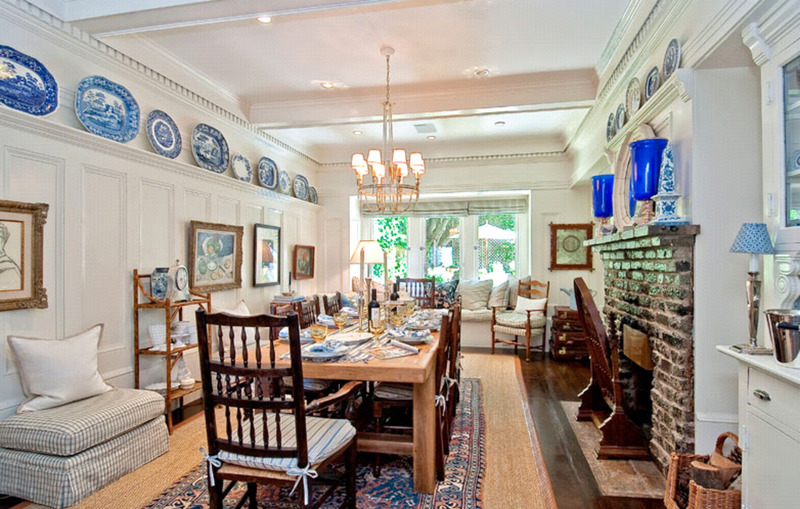 One of the most charming open plate rail designs I have ever seen is shown to the right. 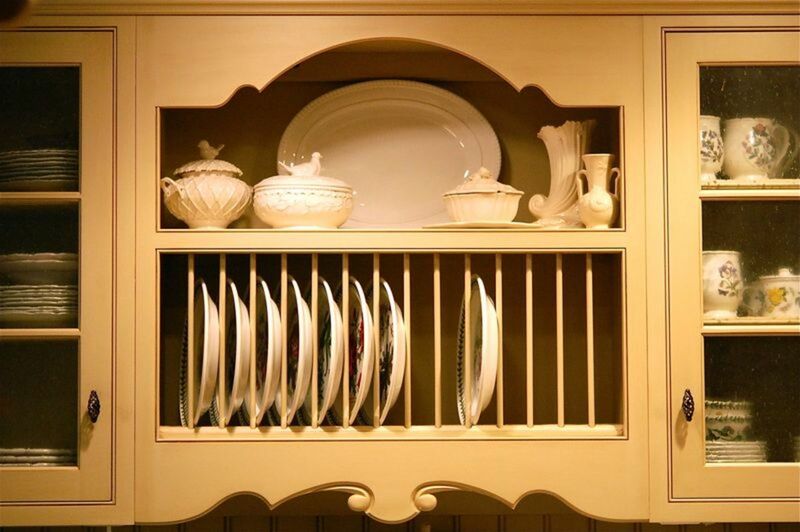 The molding and the intricate edging make this plate rail truly a picture to be behold. 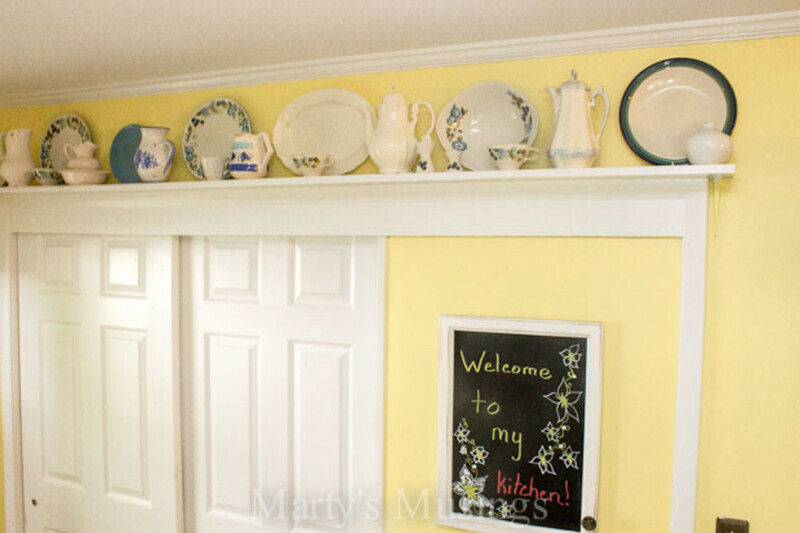 As we have seen often the plate rail is used to display a vase or a pair or vases or a photo depicting family or the beloved words of "beach", yet the classic plate rail would be for the kitchen or the room where the kitchen table resides. The design shown to the right showcases how other features can be incorporated into the design of the plate rail. In this particular case, the owner has chosen to decorate a set of closet doors (hiding perhaps the laundry or pantry storage areas?) in conjunction with a decorative area for a blackboard. A black board in the kitchen is genius. How many times do you write a note to your husband or your spouse or children? Where do you leave it? The black board is a fantastic communication tool and here it is offered in a convenient and decorative fashion. base block at the intersection of the baseboard and the vertical trim around an opening. Plate rails are simply another design option for crafting your room and designing a room that will "hug you" and your family for years to come. The options for molding are almost endless. 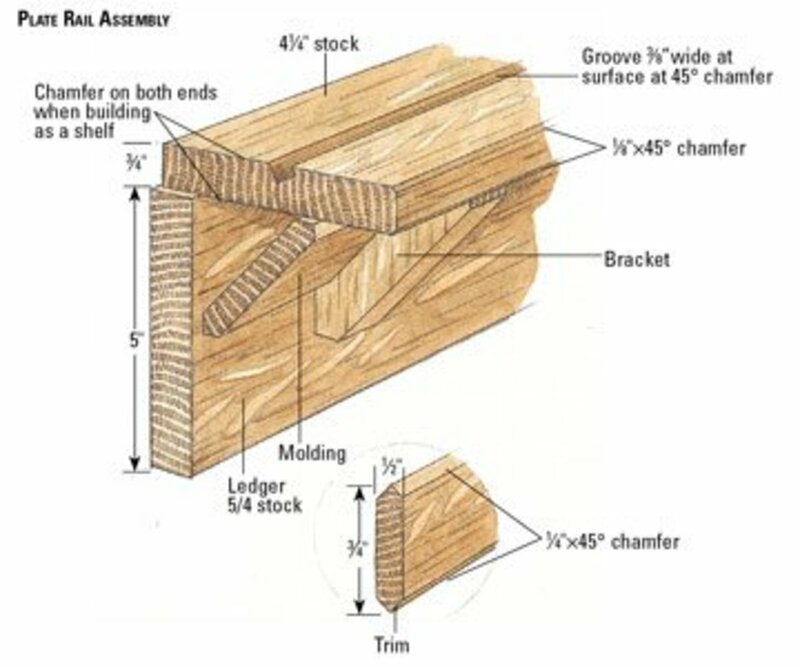 I wish I had a video of plate rail designs to show you but in lieu of that please find below some great ideas from molding to tips on how to do your plate rail or chair rail properly. Sadly, crown molding takes all the glory. Chair molding is often heralded because of its simplicity. And of course, wainscoting is the common do it yourself opportunity. So in order to garner more ideas for your plate rail, take a fun look at this exceptional video that showcases crown molding design ideas from casual to elaborately elegant. 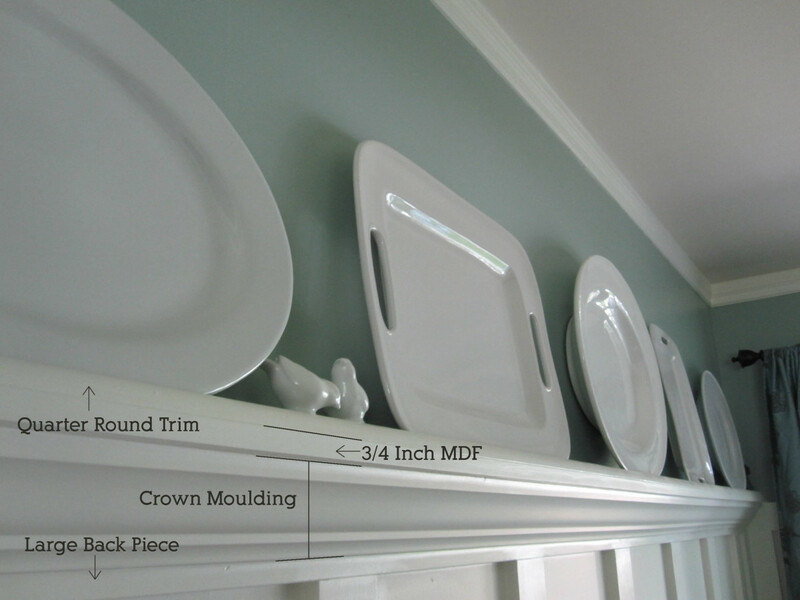 Keep in mind your plate rail project and use those design ideas to craft your own personalized space for your plate rail project. This room I love not just because of the molding but also because the room itself, not just the furnishings hug you. From the coffered ceiling to the crown molding to the plate rail, all come together for a finely crafted room design. 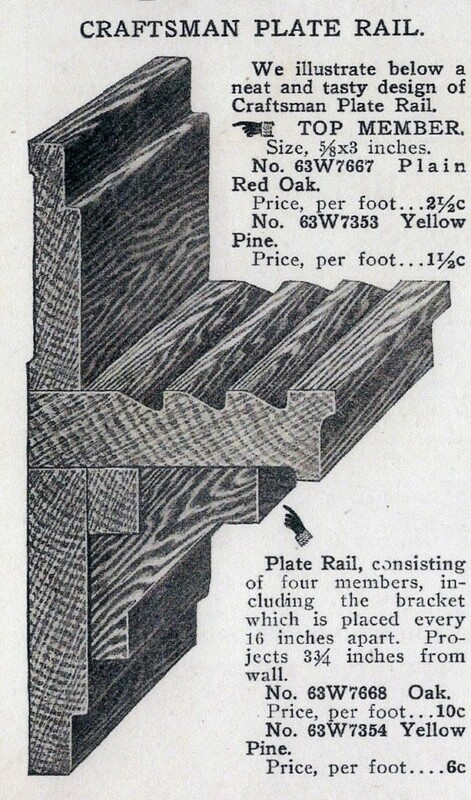 "Chair rail is the most misused and abused molding in new houses today. But it is also the easiest molding to install correctly, and one that can do the most to make a house feel like a home." "Let’s back up a bit. Chair rail is a molding, right? The purpose of molding is to establish proper scale and proportion in a room. And because of its close proximity to us (chair rail is often the nearest horizontal molding we see) chair rail can do more to make a room feel right than either the baseboard or the crown. But get the chair rail wrong, and the room feels wrong—I can guarantee it." Is a plate rail a chair rail positioned too high? I don't believe so. I believe the "high chair rail" is functioning perfectly way above the chair so that the chairs or clumsy humans don't disturb the decorative plates. I do believe planning is essential and the proportion is critical as well as the skill of the carpenter to correctly transition the molding. Whatever you call it, thisiscarpentry is correct - the proportion, the execution details are critical to pulling off the overall room design. If you are a do it yourselfer and tackling this project, do consider partnering with an experienced carpenter to fine craft the transitions that you need. 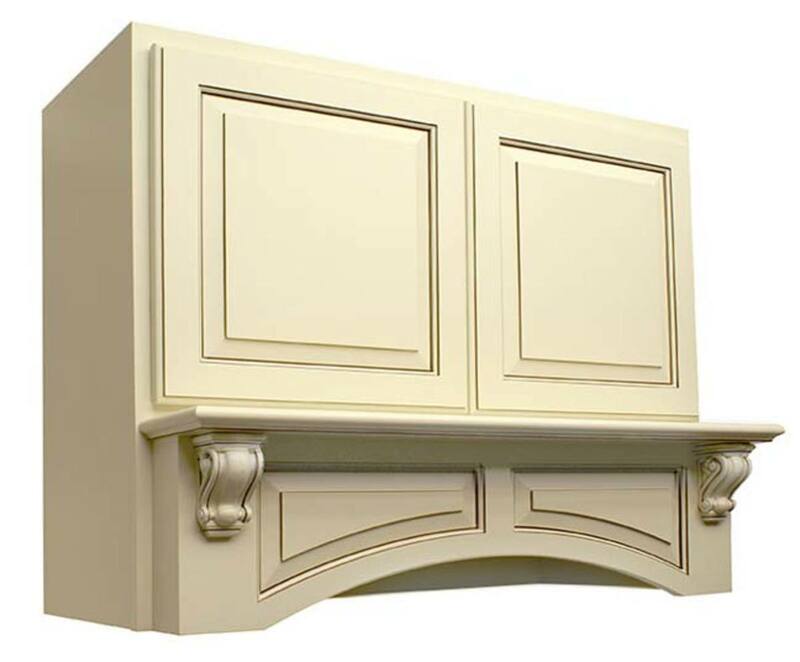 Do visit thisiscarpentry.com and learn more about designing with decorative molding and its proper proportions. 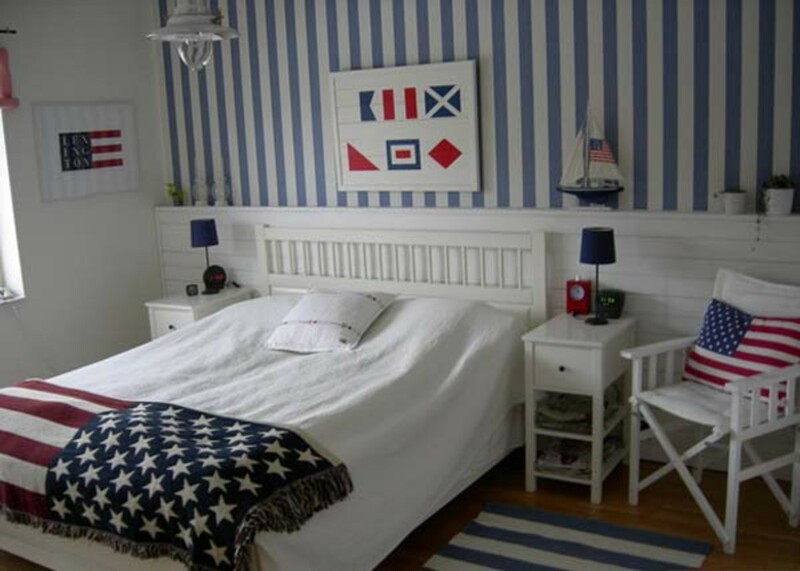 Whatever room you are seeking to decorate, the wood molding can make a significant contribution. And yes, we covered all rooms with the exception of the bathroom. 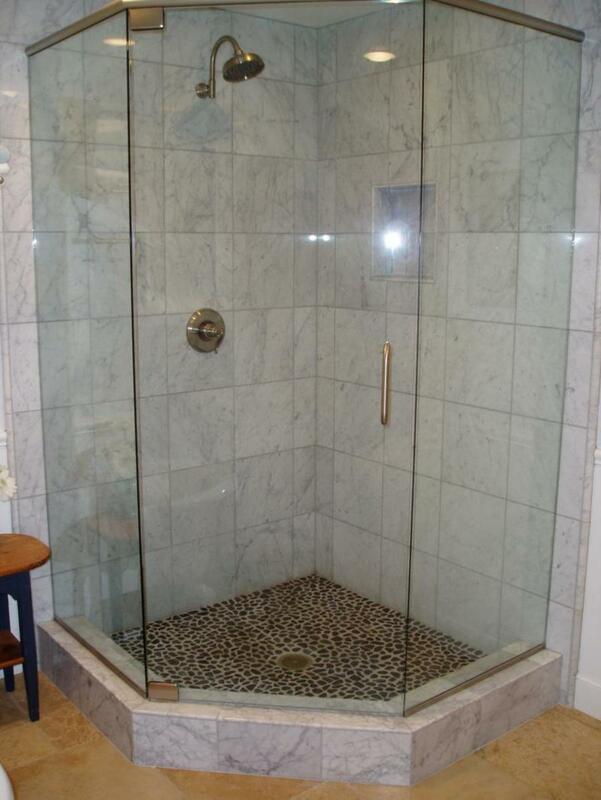 For the bathroom, the plate rail can make the biggest splash as the details are front and center. Whatever room, whatever your design choice from traditional to country cottage, do consider the plate rail as an option and do carefully design the proportions. If you do, please send me a photo of the complete project. I would love for you to share with me the rooms that you find that "hug you". 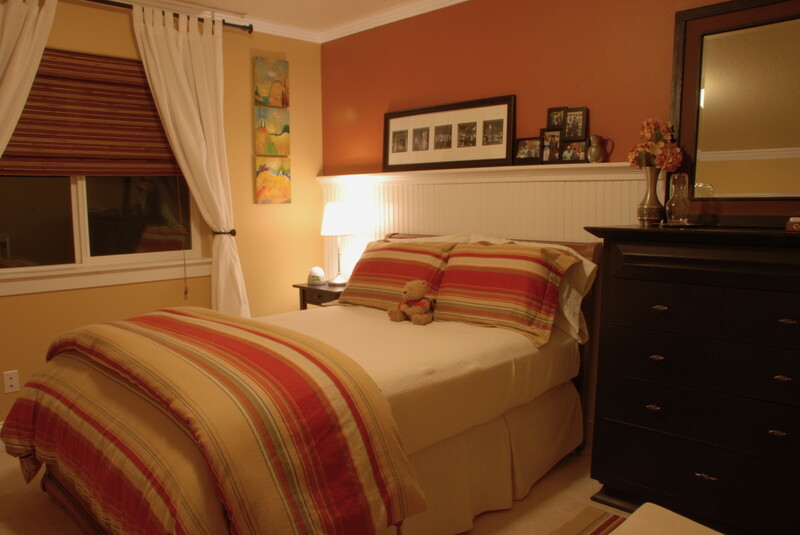 In the comments please, please share with me your thoughts on rooms in your home or rooms you have visited that have served to hug you and your family. 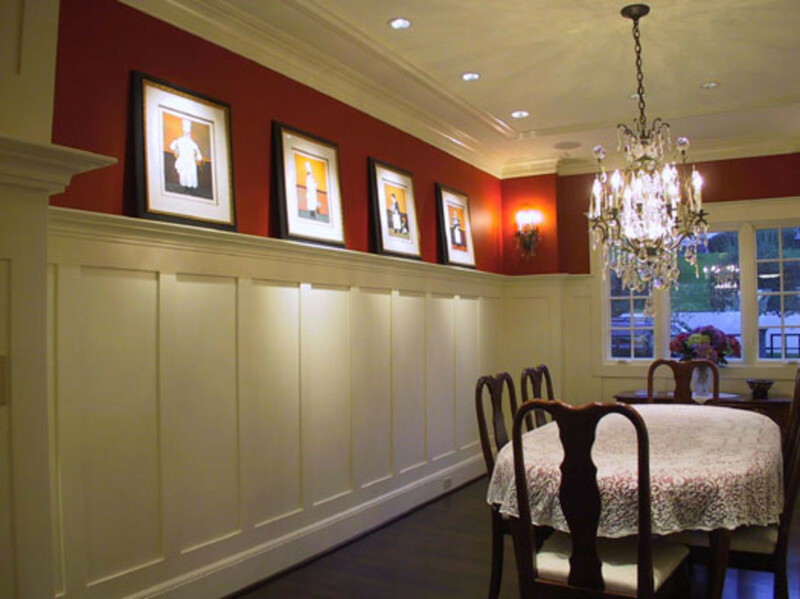 Crown Molding & Trim: Install It Like a PRO! We have a tiny bedroom which needs allot of help. From ceiling to the burlap walls (yes, remember when the burlap walls were all the decorating rage!) and we need it to be as charming as the rest of the house so my thought was to add in the plate rail. What is interesting, is I don't believe we need a plate rail around the entire room so that is the next big question mark in reviewing all of our design options. The addition of plate rails will definitely make a statement and change the entire feel of the room - whatever room is chosen. I have never really thought of plate rails before, but after reading this I am going round the house to check what they look like, what's on them and so on! lol! my place isn't very big so I need someone to come in and 'balance' my rooms up so to speak, this was fascinating! Yes, it is an investment. And oh, the termites might make it an obstacle you cannot navigate. Plate rails are not for everyone. However, if you have a home that you love in a GREAT neighborhood, the investment might pay substantial dividends. You know what they say about real estate it is all about three things - location, location, and location! So if the value isn't there to begin with, do take the time to explore the costs and see if the ROI is available for you home. Investing in homes is tricky, always has been but now after the real estate crash, even more problematic. Good point! Thank you so much for contributing! I agree. The high chair rail I feel is not just more functional but also offers a "hug" to the room unlike the other chair rails. I started this hub because I was considering a plate rail for a small guest bedroom and now I am rethinking the design. The high chair rail might work better even in a bedroom and it might give more of a den feeling. Thank you so much for sharing. I greatly appreciate it. I have to agree. That height seems to be the most dramatic and the most practical. The photos or pictures were something that I had not thought of until I started researching this hub. We were watching Rehab Addict with Nicole Curtis and she was working on a 8,000 square foot mansion and found in the study the extensive wood paneling had a plate rail on top! I am hoping she provides more details or that photos become available. The home improvement trend of the granite counter tops and big bathrooms I think are all fantastic but the investment in the molding like in the olden days is where I feel we can add the greatest value to our homes today. The high chair rail is most appealing to me for several reasons. It gives lots of opportunity for drama using color, it would be easier to dust than a higher plate rail, and it allows for display of larger items like pictures. Thanks for a neat look at using plate rails.